Finnsheep are an excellent choice of sheep to shepherd. They can give birth to multiple lambs during a birthing season; single birth up to six. Finnsheep lamb is a very tasty, delicate meat to eat. Also, finnsheep have beautiful wool that hand spinners really like to work with. If you are in the market to start a flock of sheep or add to your existing flock, send us an email. 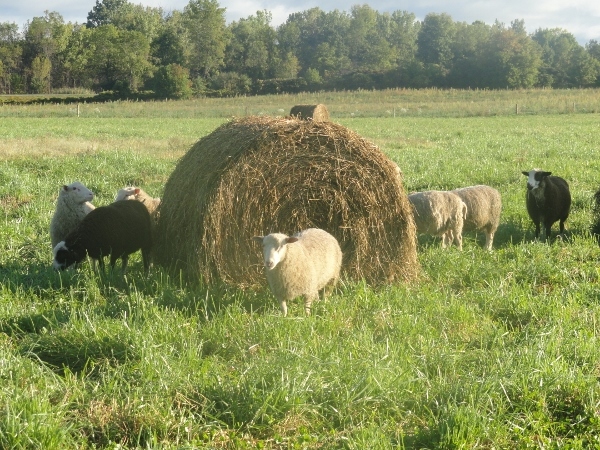 Burnt Mill Farm is a member of the Finnsheep Breeders' Association and participates in the Scrapie Eradication Program (Scrapie Flock ID: NY111371). Finnsheep, or Finnish Landrace, known in their native country of Finland, were first imported to North America by way of Canada. Eventually, they were brought into the USA. The breed is considered to be several hundred years old. 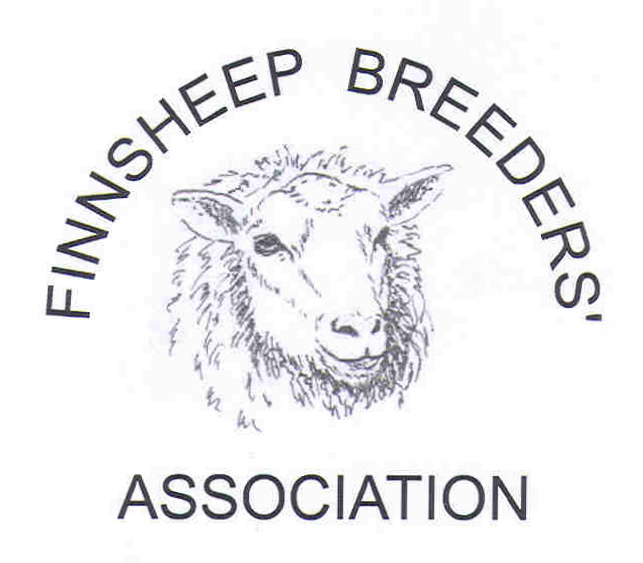 Finnsheep in the USA are mostly pure white, but they are also available in black, black/white piebald (spotted), grey, brown and fawn. Finnsheep have a very desirable, lightweight wool, which hand spinners really like. 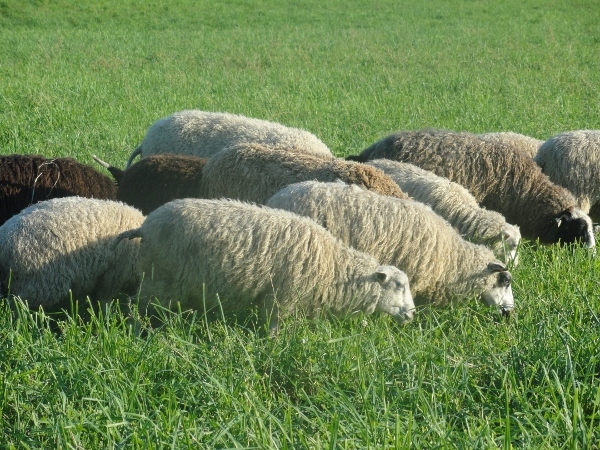 They are able to blend the Finnsheep wool with other fibers. Their wool can also be dyed into different colors. Finnsheep are not very large sheep. 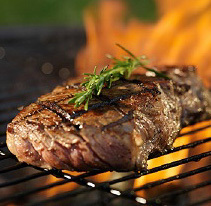 They produce lean, delicious meat with a delicate flavor. 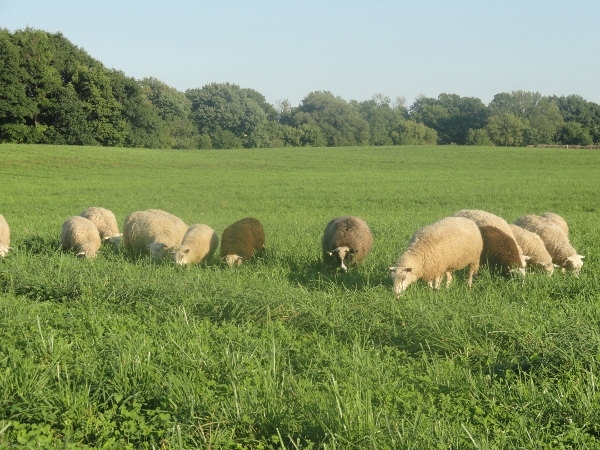 Finnsheep can be bred year round, providing lamb for any holiday celebration. Finnsheep can produce many lambs in one birth, oftentimes producing twins, triplets or more. They are very good mothers, providing enough milk for their lambs. If you have a litter of more than three at a time, it may be necessary to supplement the mother's milk with a bottle feeding or find a surrogate mother to provide for the lamb's nutritional needs. 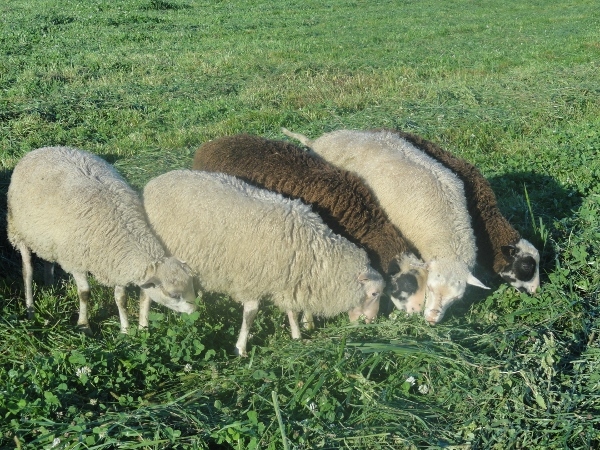 Finnsheep have a great tolerance to higher/lower temperatures than most domestic breeds. Thus, they can be housed outdoors year round. They are great foragers, able to eat leaves and other plant materials, in addition to grassy pastures. They are generally very friendly and wonderful animals to care for.